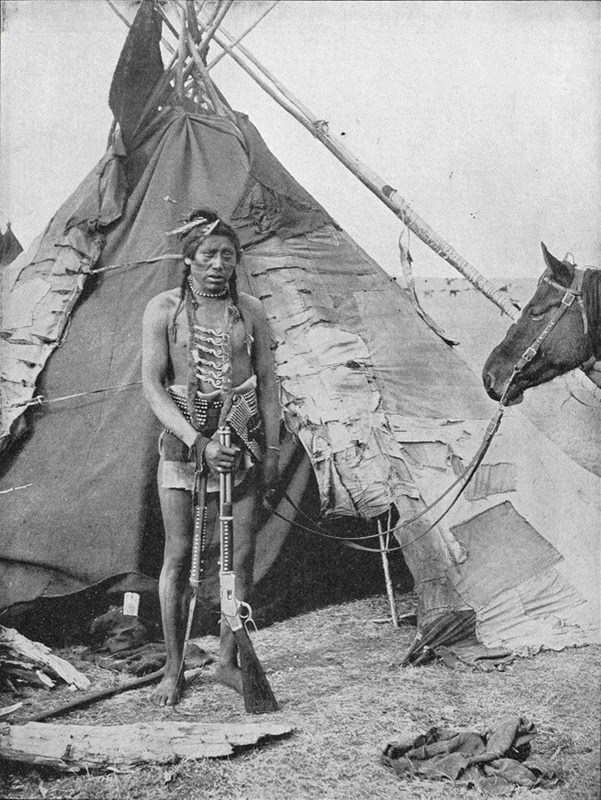 The Navajo (also spelled Navaho) are the largest group of Native Americans. They traditionally inhabited the lands in what is now the state of New Mexico, in the United States. The Navajo possessed a rich culture and religious tradition. 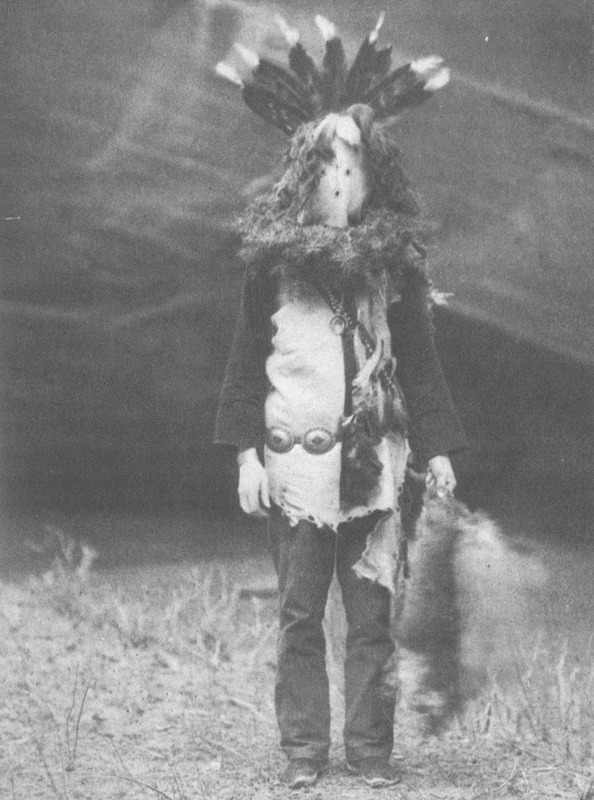 These photographs show Navajo men dressed in ceremonial attire representing various deities and supernatural beings. 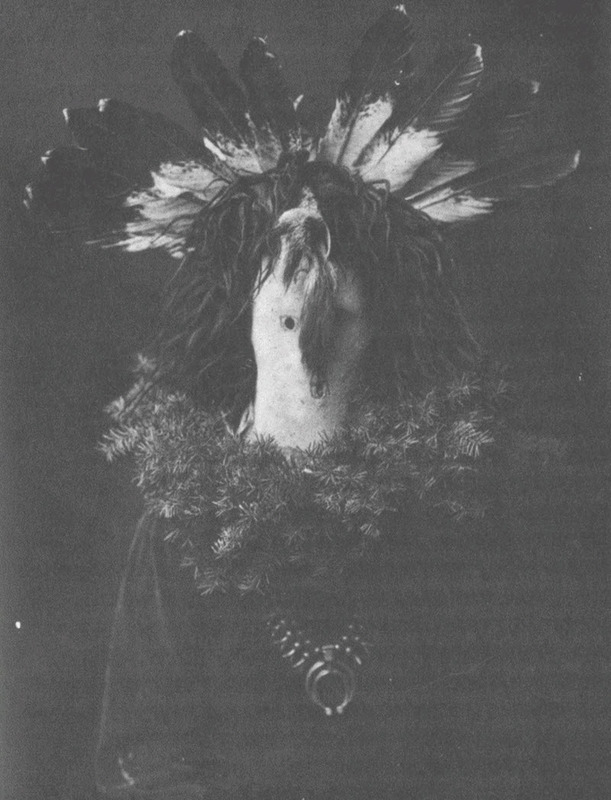 These photographs were taken in 1904 when many of the traditional ways of life and shamanistic practices were beginning to fade away. They are a very valuable record of the Navajo culture. 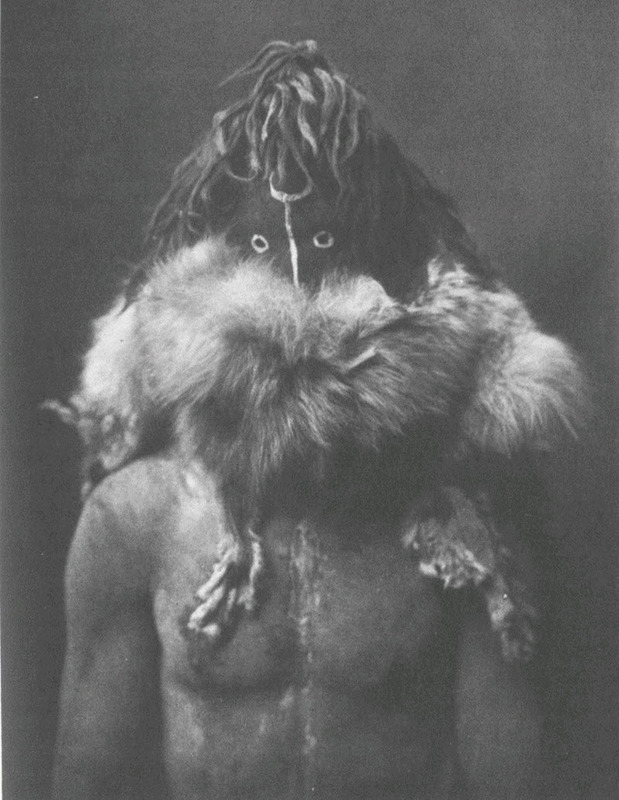 Navajo mask of the god Haschógan. He resides in the House of the Gods with the other deities and is second in importance only to The Talking God. His duties correspond with those of a Peace Chief in the human realm. This fearsome looking costume is of Nayé?n?zgan? 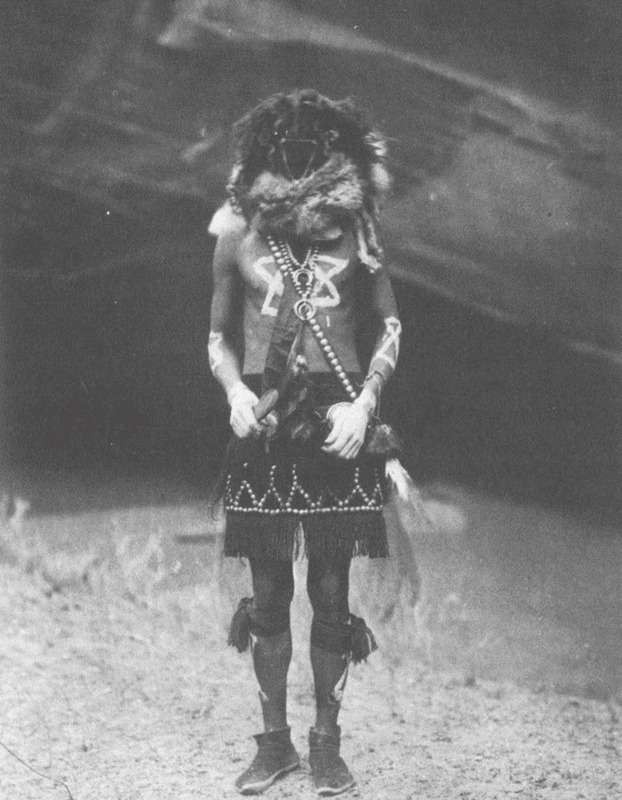 , one of the twin sons of the White Shell Woman – the chief Navajo Goddess. His name means Slayer of the Alien Gods, and many legends tell of his exploits in which he killed many monsters and giant animals, with the aid of his younger twin brother. 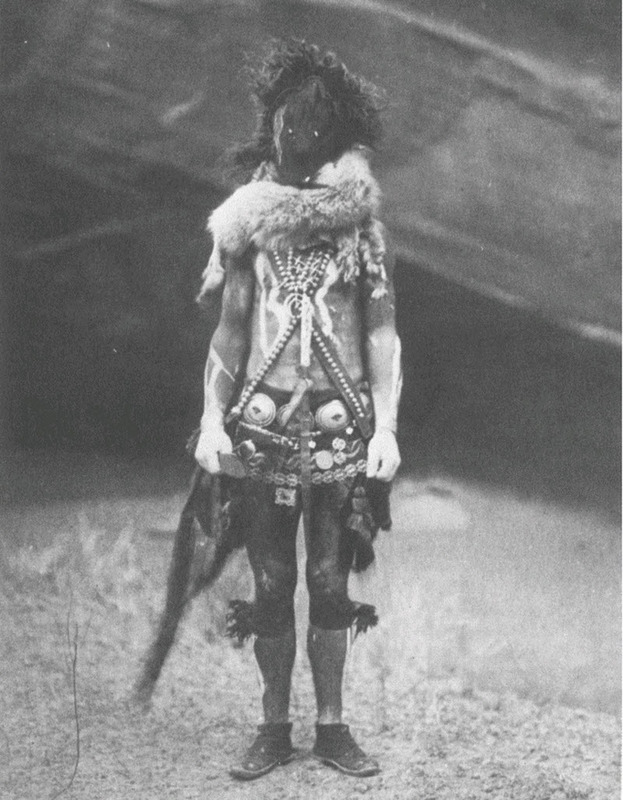 Navajo costume depicting Tobadz?schí?n?, whose name means Born of Water. He and his twin brother perform many miracles together. This mask is of the God of Fire, also referred to as the Black God. He is a mysterious figure in Navajo mythology but holds an important place among the gods. 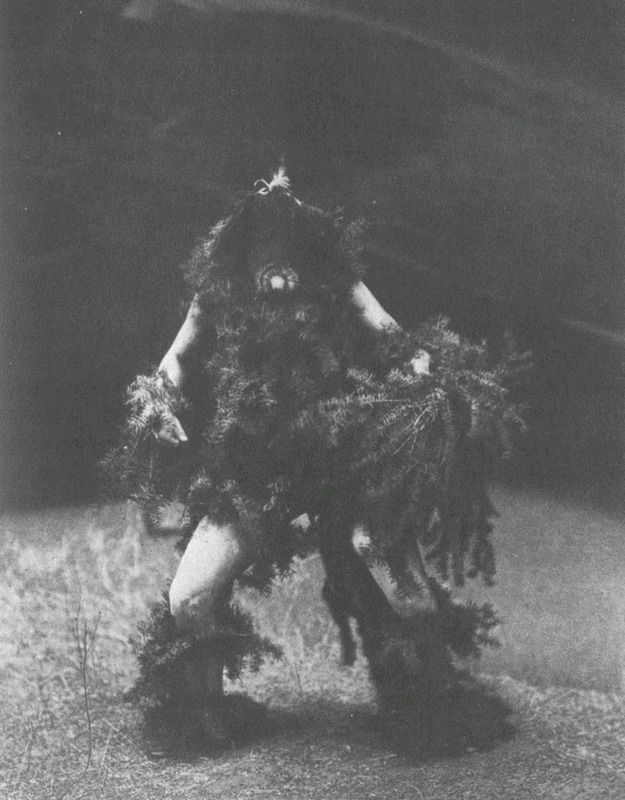 A depiction of the Navajo god of the Harvest. 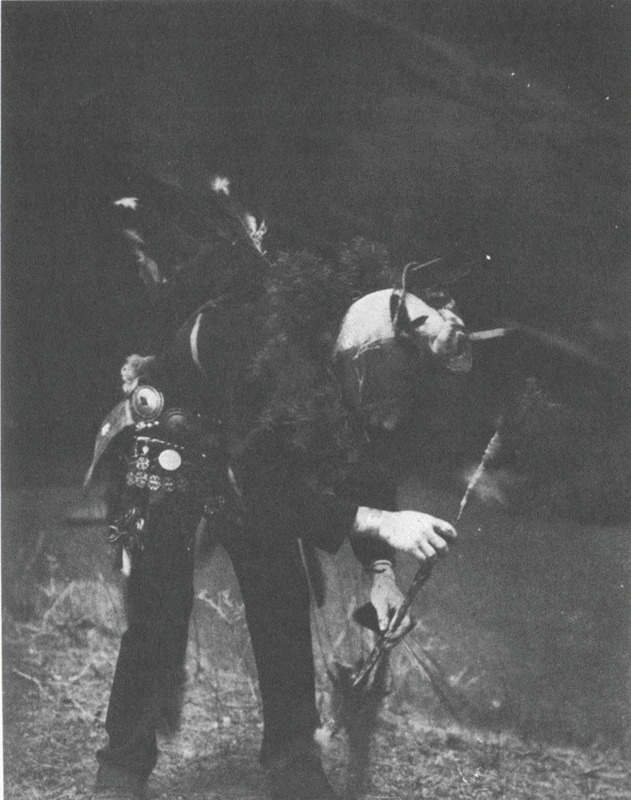 He is traditionally depicted bent over to symbolize the work that goes into planting and harvesting. This man is wearing a costume of Tónen?l?, the Water Sprinkler. This is the Rain God of the Navajo and he brings the life giving rain and snow. He commands the thunder and nourishes the parched land with rain. He is a beneficial god and brings happiness to the people, which is why the man who impersonates this god also acted as a clown during ceremonies, bringing happiness. 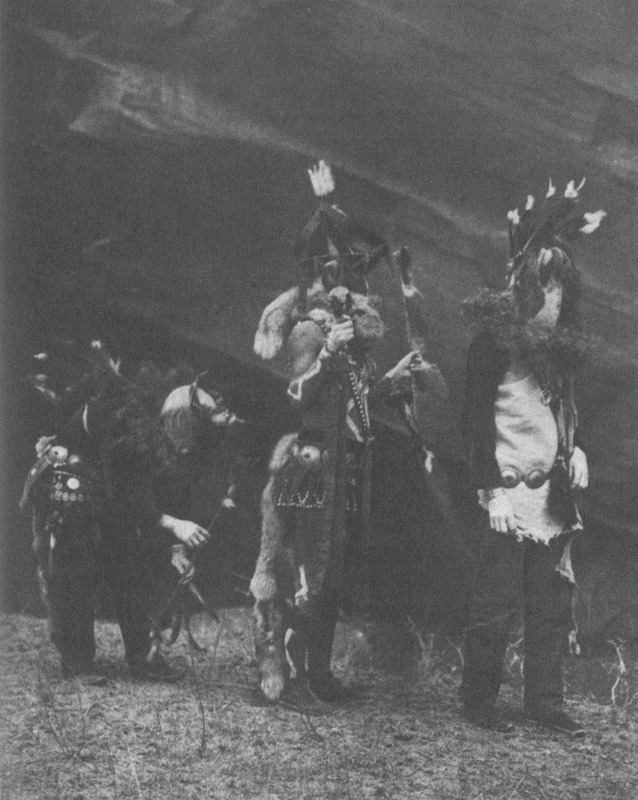 Finally we have a picture of some of the same Navajo religious performers, walking in procession. They are being led by the Talking God. These photographs were taken in 1904, when the West was not yet fully settled. They are a vivid reminder of a traditional way of life which had already begun to disappear. The photos are also remarkable for their sympathetic look at Navajo culture, considering the discrimination and repression that Native Americans faced in that era.